PROPHETIC SIGNIFICANCE: In his epistles, the Apostle John writes that there are already many antichrists. To him this word signifies deceivers who deny that Jesus is from God (1 John 2:18; 1 John 4:3 and 2 John 7). But in writing the Revelation, he does not use the word "antichrist" at all. Instead, he uses the expression "the beast" regularly from Revelation chapter 13 through 20. There are many other biblical names for "the beast." In Daniel 7:8 he is called another (eleventh) horn that speaks boastfully. In Daniel 9:26 he is referred to as "the ruler who will come." In Daniel 11:21 he is described as "a contemptible person." In 2 Thessalonians 2:1-12 the Apostle Paul labeled him "the man of lawlessness," and "the lawless one." And in Revelation 6:1-2 he is seen as the rider on the white horse. Everything considered, the person most prophecy writers call "Antichrist" is "the beast." In Revelation 13:11 ff there is "another beast," who is obviously a religious leader who makes an image of the first beast and requires everyone to worship it. This person is part of an "unholy trinity" in Revelation 13 - The Dragon (the Devil), the first beast (evil world dictator), and this other beast. Most prophecy scholars refer to this other beast as the "the False Prophet." From the Apostle John's perspective he would also be an antichrist. The world in which we live has been fully prepared for an economic messiah who could take financial control of a desperate situation. Furthermore, the philosophies and organizations are in place for both a one-world government and a one-world religious system. 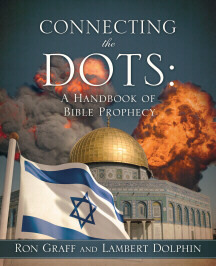 Insights from "2009 In Review - The Year In Prophecy"
Insights from "2008 In Review - The Year In Prophecy"
President Obama isn�t the Antichrist � but he sure is �paving the way� for him, said some Christian evangelists who�ve been watching the White House in biblically prophetic light with alarm. Pastor Robert James Jeffress, Jr., of the First Baptist Church of Dallas, Texas, is one leader who takes this position. Franklin Graham is another. Jeffers said that the fact that Obama was able to propose sweeping changes in God�s law [abortion, gay marriage, ...] and still win re-election by a comfortable margin, shows that a future world dictator will be able to establish an anti-Christian world government. June 4, 2015 - This article exposes a number of FBI raids on people for apparently political reasons. They forcefully enter the homes of people who are not involved in criminal activities, search everywhere and terrorize the family and then warn them not to call a lawyer or tell even closest friends and family what transpired. The Bible warns of a future, worldwide totalitarian state, and we�re headed there fast. Blatant misuse of the criminal justice system in the United States, shows that we are further down that road than most dare consider. It is also interesting that the number is not the number of each subject who receives it, but Antichrist's own number, or, optionally, his very name! Surely each subject will also have his own number, whether that is on a card, a tattoo, or an implanted device, but this actual Mark of The Beast is his name or number, a proof that the subject has agreed to worship him! Copyright � 1996-2016 by Ron Graff. All rights reserved.